Morning Musume’s 11th album, currently untitled, has been announced. The album will be available in Regular and Limited versions, with the Limited version containing a DVD with 8 solo versions of their 44th single Onna to Otoko no Lullaby Game as well as a clip featuring the announcement of Kamei, Jun Jun, and Lin Lin’s graduation as well as the 9th generation auditions from their previous concert tour. Like many I am very surprised about this release since it was just a few months ago that they released their 10th album 10 MY ME, and even though we don’t have much information (since it was just announced) it will be interesting to see what kind of theme they choose for this album. Most likely they wanted to have a last album release with the current lineup which is great for all Kamei, Jun Jun, and Lin Lin fans as well as Momusu fans in general since it will give us a chance to listen to more great album songs. The release date is about two weeks before the graduation concert so we might get a chance to listen to a few songs from the album at the concert tour, and even if we don’t we will probably get a chance to listen to most of the songs through radio previews along with the reactions of the members, which should be interesting to hear. Hopefully a tracklist or some radio previews are released soon so we can find out what kind of theme it might have. The release date is set for 12/1. 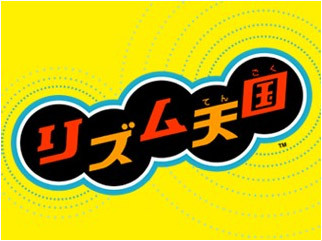 A Wii version of Tsunku’s DS game titled Rythm Tengoku has been announced at a Nintendo conference. I had a chance to play a demo of the DS version of the game and I have to admit that I am excited about the Wii version since it is a very addicting game with amazing mini games and music. From the video (in between the horror game preview featuring two girls and the Inazuma Eleven scenes) it is safe to say that it will be another great release since the few seconds we saw of gameplay look very interesting. Hopefully all fans who have had a chance to play the game decide to purchase the Wii version. The release date hasn’t been announced. C-ute’s 3rd PV collection DVD titled Music V Tokushuu 3 ~Cutie Visual~ has been announced. Despite not having an official confirmation of the content I am happy to see that we are getting another PV collection since it gives fans who couldn’t buy previous Single V’s another chance to own all of their recent PVs. 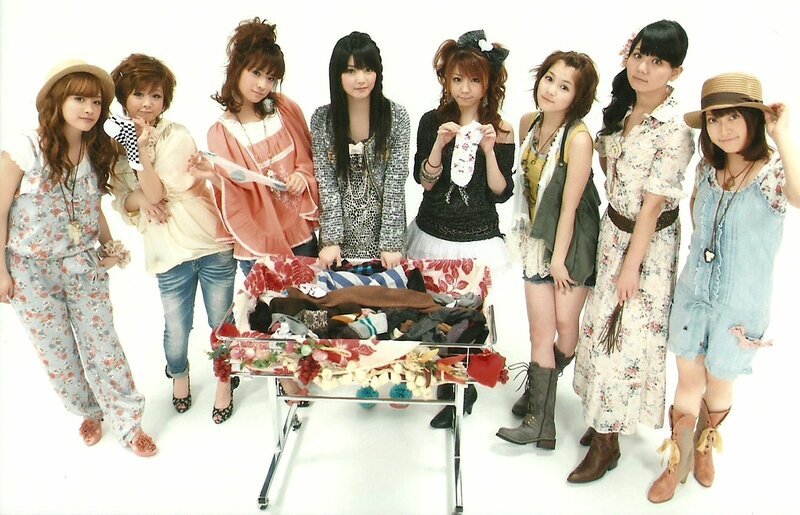 The last PV collection was released about a year and a half ago (June 2009) so most likely many fans are looking forward to this release, and even though we don’t know exactly what bonuses to expect along with the PVs it will definitely be a must have item for all C-ute fans. Hopefully all C-ute fans can reserve their copies since this will be a great way to have all of the PVs. The release date is set for 12/8. C-ute’s 14th single titled Aitai Lonely Christmas has been announced. There will be three versions: Regular, Limited A, and Limited B.
I’m glad to see that we are already getting the confirmation of C-ute’s 14th single since most of the main groups are currently preparing for their single releases in the next few months, and with this announcement all C-ute fans have another great release to look forward to. According to the description on the Shinseido site the song will be a “love song sung by a sad girl’s feeling”, so even though we haven’t heard a preview it is safe to say there is a possibility that this single will be a ballad or something similar, although knowing Tsunku everything is possible at this point. Despite that this will be the first single from H!P in quite some time that will have a holiday theme, so hopefully more info is released in the following weeks. A Blu-ray edition of Morning Musume’s Alo Hello! 4 has been announced. I’m somewhat surprised that they decided to release Momusu’s 4th Alo Hello! in blu-ray since sales for the original DVD weren’t that high, although it is a great chance for many fans who didn’t buy it the first time to own a copy in higher quality. The content for the blu-ray will most likely be the same as the original DVD so there will probably not be that many surprises, although I am a bit curious as to how the many scenes will look in blu-ray quality (especially the Genki Pika Pika! PV). Despite not being the best selling Alo Hello I do look forward to finding out how it looks in blu-ray quality, so hopefully we get some previews or CMs in a few weeks. The release date is set for 11/24. A Blu-ray edition of C-ute’s Concert Tour 2010 ~Shocking Live~ has been announced. I’m surprised to see that they are releasing a C-ute concert on Blu-ray so soon, but I am also glad since that means that there is enough of a positive response from fans to release the concerts again with better quality. Like other blu-ray releases I still think that it would be great to announce both the blu-ray and the normal DVD at the same time so that fans can choose which one they want instead of having to wait a few months in between releases, but it’s exciting to see that UFA are expanding these releases to other groups within H!P. Hopefully all C-ute fans who haven’t bought the DVD (or who want better quality) reserve their copy of the blu-ray edition of this great concert. 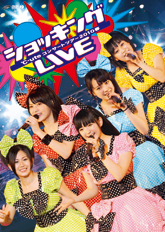 The DVD for C-ute’s Cutie Circuit 2010 ~9gatsu 10hi wa C-ute no Hi~ has been announced. It’s great that we are getting a chance to regularly see the release events for singles on DVD since the stages, as well as the time of the performance, are a nice change from the usual concerts in a dark concert hall. I’m not sure which songs were performed (I can’t find the setlist for the event) but most likely there will be a combination of their greatest hits as well as many of their recent singles, such as Dance de Bakoon! and Campus Life. Hopefully all C-ute fans reserve a copy of the DVD.